Why: Chinatown small business and property owners, residents, and workers oppose the proposed Chinatown Business Improvement District (BID) because it will destroy existing small businesses and affordable housing. 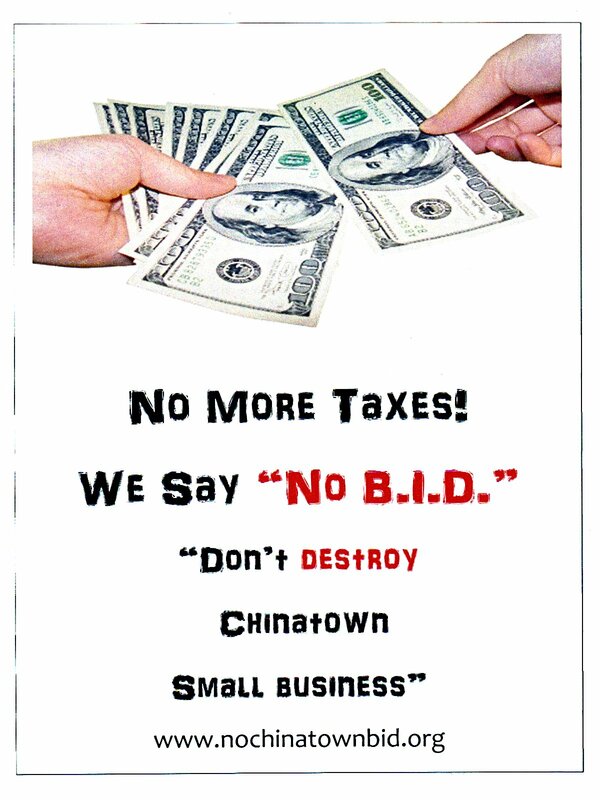 While ignoring all opposition to the Chinatown BID, City Councilmember Margaret Chin is promoting her political agenda. She has promoted only the B.I.D. and ignored all other options. 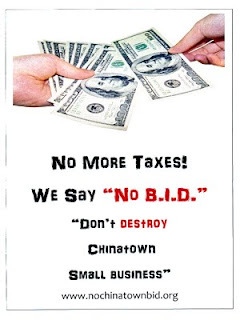 The Chinatown BID is not in the public’s interest and primarily serves to promote outside developers’ interests in encouraging luxury, high-rise development along Canal Street and throughout Chinatown.